LOCATION LOCATION LOCATION! BRIDGEPORT AT LAKE SUMTER JUST MINUTES FROM LAKE SUMTER LANDING!!! !PREMIER HOME WITH LARGE BOND PAID!!! WOW! You won't beat the price per square foot. A former builder home that has been expanded to include a completely heated and cooled lanai. A huge 870 square foot garage that can hold two large cars and two golf carts and much more. This stylish residence is located in the coveted Village of Bridgeport at Lake Sumter. 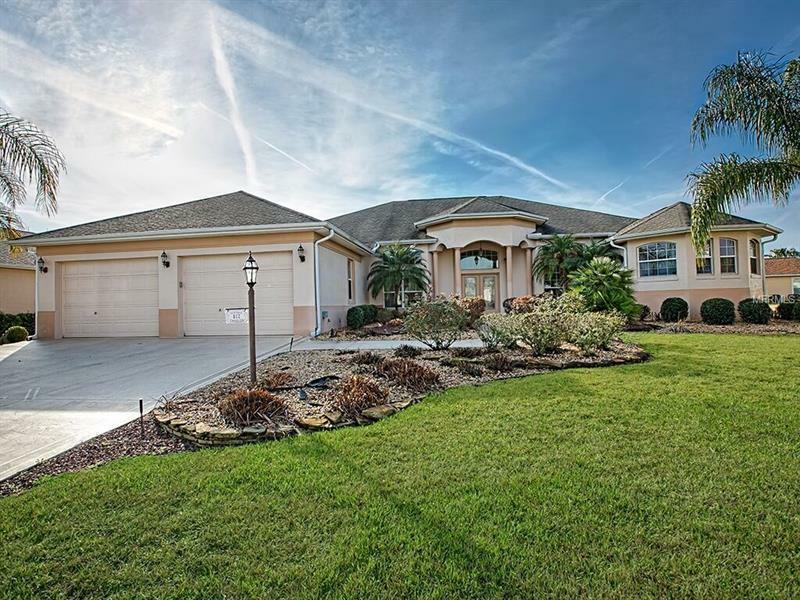 While living in this lovely appointed four bedroom, three bath Saint Augustine home you will appreciate itâs close proximity to both Lake Sumter Landing and the wonderful dining options. The upgrades abound in this home. From the granite countertops with cherry cabinets and upgraded appliances in the kitchen to the hardwood Anderson hand scraped wood floors in the dining room and entry. There is even additional options for entertaining in the enclosed and air-conditioned lanai. Outside this home has been well landscaped and recently repainted including a decorative painted driveway. The custom master closet and large walk in pantry is appointed with cherry custom cabinetry. The house comes complete with two living rooms, a welcoming kitchen, eat in breakfast nook, dining area, three full bathrooms and four full bedrooms and a large laundry, and retains the value of peaceful living while being conveniently close to shops and numerous dining options.